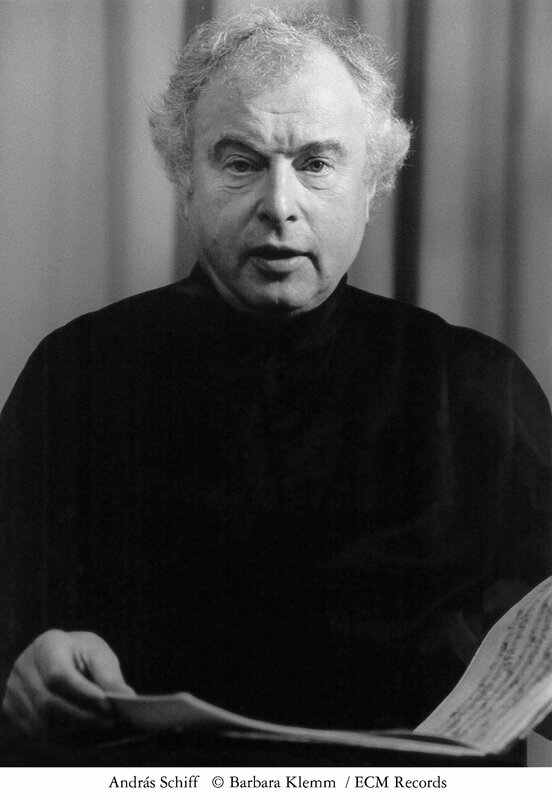 While András Schiff has reinforced the worthiness of Bach and Beethoven at the piano over a sprawl of recordings for ECM’s New Series, he has also carved out a hallowed space for the music of Franz Schubert, beginning in 2000 with a recording of the C-major Fantasies and now deepened with this composer-titled collection. In his liner text, “Confessions of a Convert,” Schiff discusses the transition to “authenticity” via historically minded performance, a movement that popularized use of period instruments and, ironically enough, the newness they brought to canonical repertoires. “There is an astonishing wealth of old keyboard instruments hidden in museums, foundations and private collections, many of them in prime condition,” he writes, speaking after his transformation from skepticism to advocacy. “Getting to know them is essential for the student, the scholar, the musician: it is a condition sine qua non. Playing on fortepianos—and on clavichords—should be compulsory for all pianists. Their diversity is amazing.” Even more amazing is the diversity of Schiff’s willingness and ability to adapt to these changing colors, to treat each as having equal value in the keyboard spectrum. 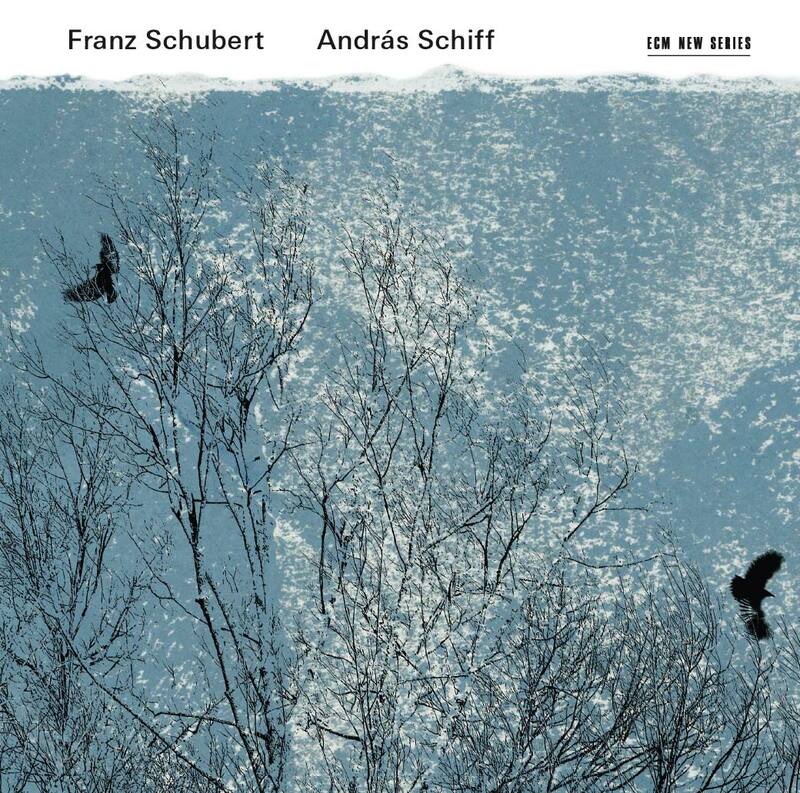 For this recording he plays a fortepiano, built by Franz Brodmann in Vienna around 1820, which Schiff has owned since 2010. Attentive listeners will recognize it as the very one employed for the second version of the pianist’s Diabelli traversal, also for ECM. Once again, engineer Stephan Schellmann underscores the intimate life of this instrument. The Sonata Nos. 18 in G major and 21 in B-flat major serve as centerpieces. An overall translucence pervades the first, and the opening movement, marked “Molto moderato e cantabile,” gains purchase by the fortepiano’s immediacy, which ensures that even the greatest leaps never forget where they came from. Schubert’s propensity for quietude is on full display, contrasting fragile highs with muddier lows. And while Schiff’s Brodmann might at first seem better suited to the Andante, it proves itself to be just as capable pulling off the half-tucked rolls of the Minuet. And the concluding Allegretto? Let’s just say that, if the sound, in combination with Schiff’s artful handling of it, hasn’t won you over by this point, then the album just might not be for you. The Sonata in B-flat major, widely considered to be the pinnacle of Schubert’s writing for piano, feels not so much new as renewed, given access to muscles it might not otherwise exercise on a modern grand. If the G-major Sonata felt at best quasi-Beethovenian, then this one begs a more genuine comparison. From the low trills that interrupt with periodic hints of foreboding in the first movement to the flexion of the final Allegro, there’s more than enough for the comparatist to savor. Nowhere else, with the possible exception of the Four Impromptus (op. 142), is the fortepiano’s potential so evident. The seesawing between minor and major in the Andante and the spirited undercurrents of the Scherzo, and all the subtleties required to make those dynamics felt, come naturally to the instrument, which I daresay adds a boldness all its own by virtue of its focus. Schiff’s reckoning of the op. 142 proves there’s still much to discover in these robust pieces. Each impromptu has its own charm, but the second, an Allegretto in A-flat major, proves the need for a tactful performer. Schiff balances its understated seeking with immediacy, all the while through his pacing lifting the music beyond an exercise in mere pathos. Some of the most dramatic moments of the album can be found here, barely eking out over the captivations of the Andante that follows it to round out the center. Even in the shade of these gargantuan sonatas, the popular Moments musicaux hold their ground. In Schiff’s handling, they come across with spontaneity and breadth. Each has its own captivation, but the Andantino in A-flat major is a most remarkable vehicle for the fortepiano’s middle register. By the final movement, these beauties are swimming in fresh disclosures. Not to be outdone, however, are two chosen miniatures. The Ungarische Melodie (Hungarian Melody) in b minor introduces the program with evocative subtlety, while the Allegretto in c minor, written for the departure of a friend, populates more spacious melodic tenements. Both contain a wealth of emotional pigments. Between the azure flash of a dramatic pause and the rusty ochre of hindsight, not a single piece piece of the puzzle feels out of place. If this is your first time encountering Schubert’s piano works, it may just become a reference recording. If you come to it with familiarity, especially by way of Schiff’s nine-course feast on Decca, then you will want to keep it for comparison and discovery with all the rest. And to be sure, even putting aside questions of instrument, this recording is by nature historically informed, because it is itself history in the making.